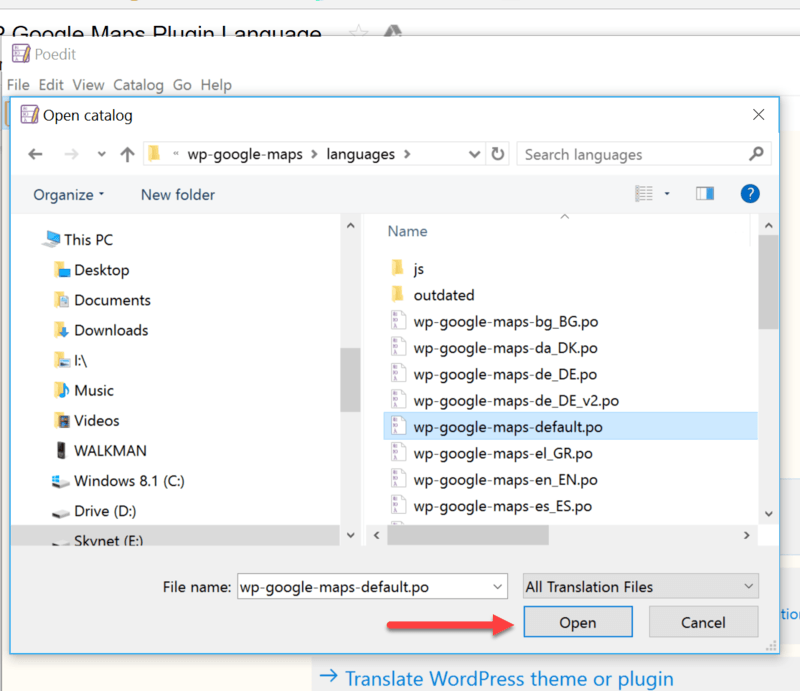 This article covers Changing the WP Google Maps Plugin Language. This documentation is current for WP Google Maps Version 6. Translate the plugin by changing the .PO file (this contains all the text strings of the plugin itself). Change the call to the Google Maps API so that everything that comes from the API (your map itself and directions) is changed. To translate our plugin you will first need to download and install POEdit. POEdit is one of the best editors for translating apps and websites that use gettext (which WordPress uses). 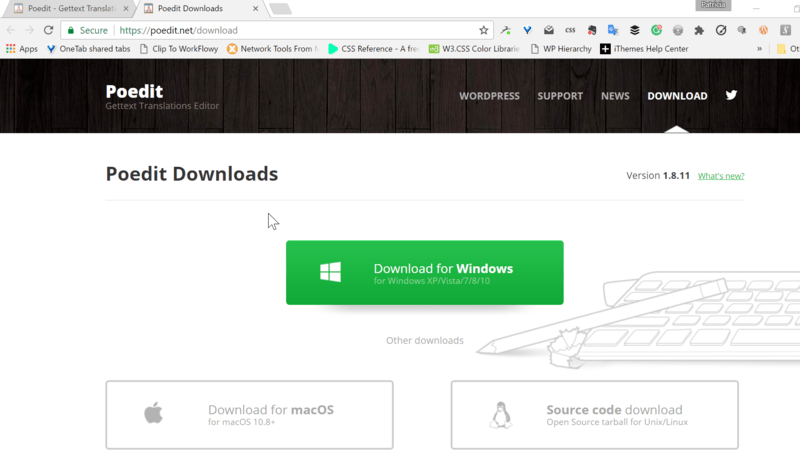 You will find Windows and Mac downloads and Linux/Unix source code on the Download page. Next, you’ll need the default Language file (wp-google-maps-default.po) from WP Google Maps. You will find this file in the /languages folder underneath the main wp-google-maps folder for the plugin. Once you’ve downloaded and installed POEdit on your computer and know where to find the default Language file (wp-google-maps-default.po), open POEdit. Click the Open button at the top of the screen and then navigate to and open the wp-google-maps-default.po file. You’ll see a yellow warning at the top of the PO Edit window saying that the language of the translation isn’t set. Click the Set Language button. On the Catalog Properties window, select the Language you want to translate the plugin into. You can also add your team name and email address to give yourselves credit for the translation. Then click the OK button. Before going any further, click the File menu then select Save As and save your file under another name, using a two-letter abbreviation for your chosen language. 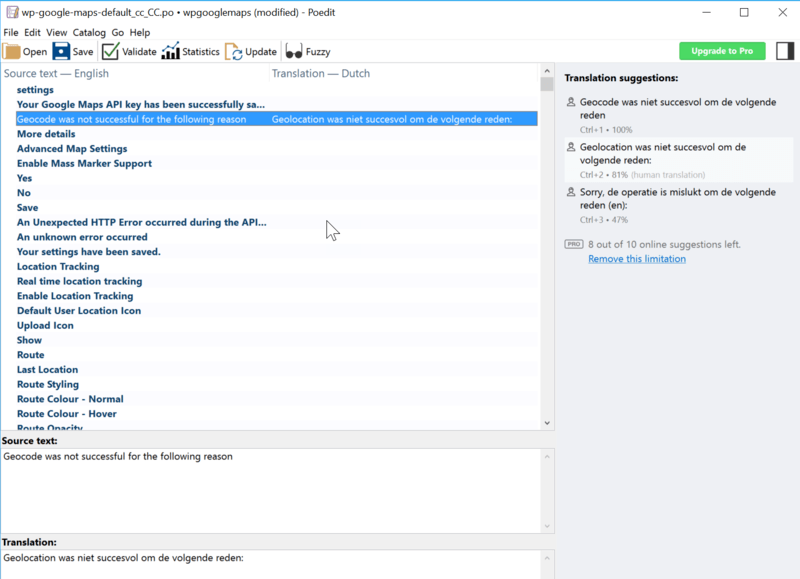 For each string you want to translate, select the string in the Source text area and either select a suggested translation or enter your translation for the string in the Translation area. After you’ve completed your translation, please send your translated files to us. Then we’ll add them to the next update we release. We’ll give credit to you for the translation in our readme file (please provide us with your first and last names for the credits). We will also send you a copy of WP Google Maps Pro as a thank you for taking the time to translate WP Google Maps. 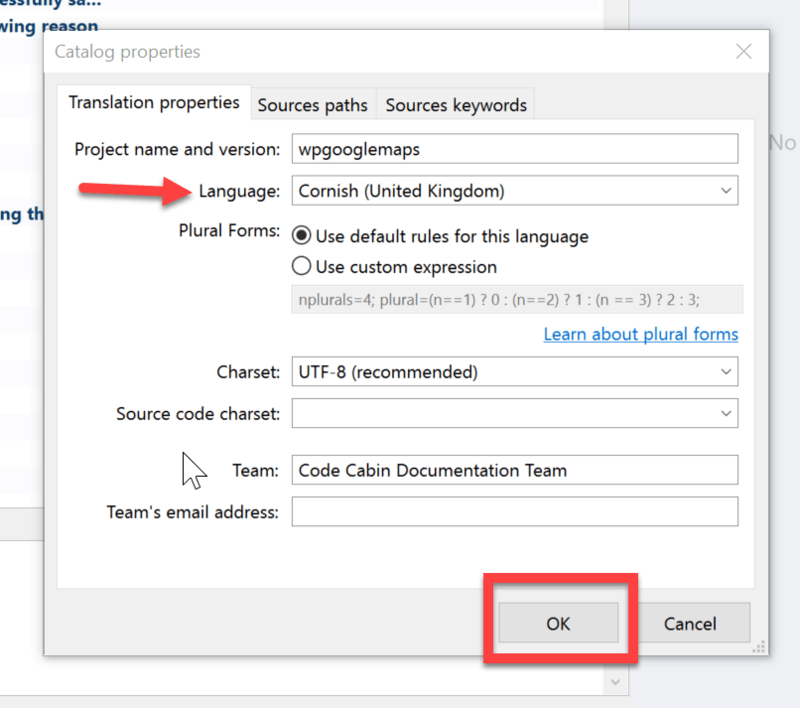 The Google Maps language can be changed by changing the default language for your WordPress site. See WordPress Dashboard → Settings → General. Go to the General Settings page in your WordPress Dashboard. 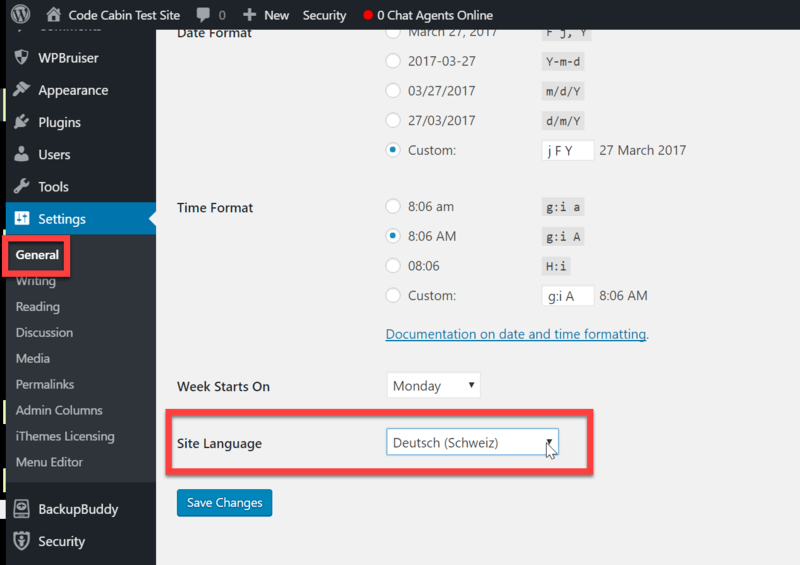 Scroll down to Site Language and choose your desired language from the drop-down list. Then click the Save Changes button. This article covered Changing the WP Google Maps Plugin Language. If you need further assistance, feel free to post on our Support Forums or visit our Support Desk.